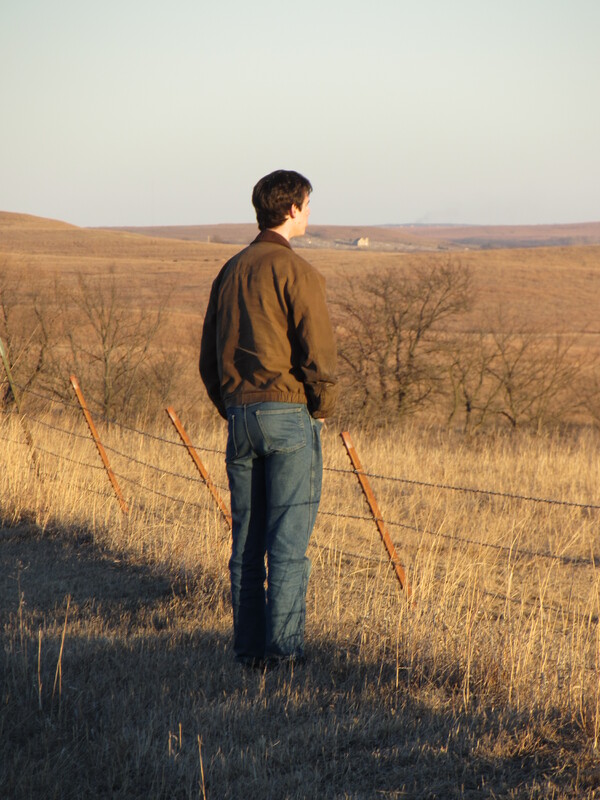 Michael surveys the land once owned by African Americans near the turn of the 20th century. Thanks to diligent research by Chapman Center Intern Michael Spachek, the once forgotten history of a substantial group of black farm families has been brought to life. Michael conducted research on African American land ownership in Wabaunsee County this past fall, discovering the complex stories of success and failure surrounding these remote tracks of land in the Flint Hills. 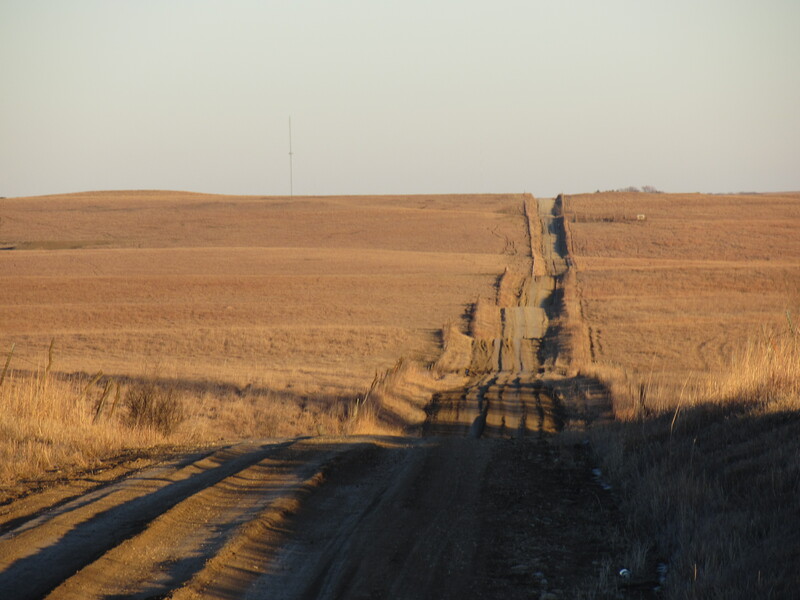 An old farm road bisects the land in Wabaunsee County once belonging to African American farmers. Michael’s research uncovered the stories of twenty-six landowning African American families in Wabaunsee County near the turn of the 20th century. 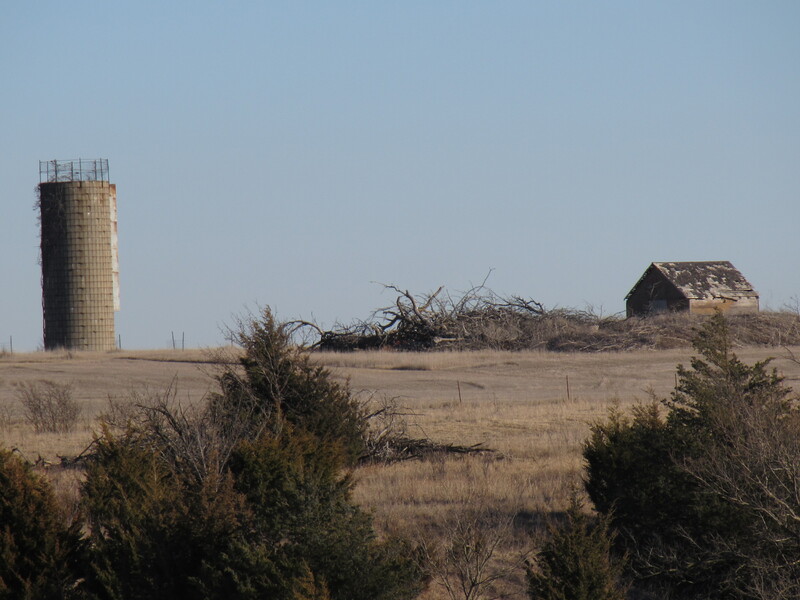 Michael recently traveled to these remote farmsteads with Dr. Morgan to photograph the land and gather more information. Through his research, Michael learned how to work effectively with large databases of census records and deed records. Much like finding a needle in a haystack, Michael discovered small pieces of information and skillfully turned it into an accurate narrative of these landowners’ lives. I was drawn to the topic because of the chance to discover stories about a group of people that disappeared and with little published work on them. The farmsteads owned by African American men nearly one hundred years ago. Michael’s research was previously presented at our first annual Chapman Center Open House. We are also excited to congratulate him on the acceptance of his research to the Flint Hills History Conference, “Culture and Conflict,” where he will present his research in March! This entry was posted in Field Research, Intern Reports, Uncategorized and tagged African-American Kansas, Farm, intern, Rural, Wabaunsee County. Bookmark the permalink.